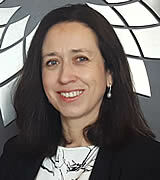 Irene Lores, Global Marketing Director, General Aviation, Air BP. It will come as no surprise that a reliable, safe supply of on-specification fuel is critical for smooth aircraft operations. However, as operators visit new regions, they are often surprised to see differences in the grades of fuel available and ask whether these variations have any safety and/or performance implications for use in their aircraft. Although you may encounter different jet grades globally, the good news is that they are interchangeable in most cases. The most common fuel for business aviation aircraft is jet fuel, however, operators using spark-ignition piston aircraft require Avgas. We supply fuels to various civil and military specifications at around 800 locations in over 55 countries. It is straightforward to arrange for a fuel uplift and to replenish your supply across our network. Almost all jet fuels are derived from crude oil in refineries and are produced in much the same way. The most widely used grades of Jet fuel are Jet A and Jet A-1. Produced to standardised international specifications, the latter is the most common worldwide civil jet fuel specification, while Jet A is usually found throughout North America and in parts of South America. The main difference between Jet A and Jet A-1 is the freezing point limit set by the specification, which is defined as the temperature where hydrocarbon crystals disappear under laboratory testing. The limit is a maximum of minus 40 degrees Celsius for Jet A and a maximum of minus 47 degrees Celsius for Jet A-1. Although the two fuels are manufactured to different freezing point limits, Jet A-1 and Jet A can be used interchangeably. The higher limit for Jet A is beneficial during the manufacturing process, which helps meet the demand for fuel in large markets like the US. The lower limit of Jet A-1 provides greater flexibility for aircraft operations during the very cold temperatures encountered with high altitude flight. Freezing point is a parameter often used by the flight planning department to minimize flight cost through the best choice of route, altitude and speed. If you’re travelling in China, Jet Fuel 3 might be offered, which is essentially identical to Jet A-1. Meanwhile in Russia and the CIS states TS-1 is the primary fuel grade available. It has a lower flash point limit (+28 degree Celsius) and freeze point (minus 60 degree Celsius) compared to Jet A-1, making it suitable for the region’s colder climes. And although its rarely used these days, head as far as northern Canada and Alaska and you might encounter Jet B, a wide cut jet fuel containing a blend of naphtha and kerosene. Historically, Jet B’s low freeing point (minus 60 degrees Celsius) and low flash point (the lowest temperature at which vapours of the material will ignite) made it beneficial for use in extremely cold regions. However, it has now been largely superseded by newer engine technology designed to operate on less volatile jet fuel. This is good news, as the low flash point makes Jet B more flammable and therefore more dangerous to handle than Jet A or Jet A-1. In addition to the commonly used civil aviation fuels, there’s also a separate range of military-grade jet fuels, including JP-4, JP-5 and JP-8. These are typically found at Military installations. There are detailed differences between military and civil fuels, but most have specialised additives relating to military aviation. And, of course with cleaner, greener skies high on the aviation industry’s agenda, we are committed to exploring opportunities to develop sustainable aviation fuel. These fuels are fully compliant with Jet A or A-1 specifications but manufactured from sustainable sources to help lower carbon emissions. To date, the industry as a whole has flown over 100,000 flights with sustainable aviation fuel. Demand is expected to grow as the price differential to regular jet fuel decreases. Made by processing renewable material – such as solid household waste or recycled cooking oil to give jet fuel and blending with conventional, fossil-based kerosene, sustainable aviation fuel is approved for use in jet engines. 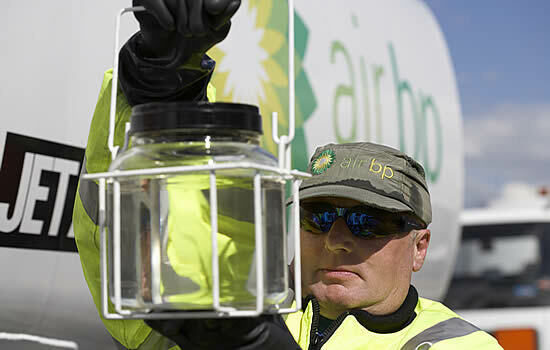 Since 2014, we have been supplying BP Biojet in the Nordics at around 10 airports, including Oslo which was the first airport to supply sustainable aviation fuel through its existing fuelling infrastructure. And at the end of 2018 we entered into an agreement with Neste, the world’s leading renewable products producer, to increase the supply and availability of sustainable aviation fuel for airline customers across our global network. While the main grade Avgas currently in use across Air BP’s global network is 100LL (low lead), our business and general aviation customers often ask about the availability of an unleaded avgas. Our unleaded Avgas grade UL91 can be purchased at specific airports in Norway, Sweden, Denmark, Germany and France. Unlike the different jet grades which for the most part can be used interchangeably, it’s important to be aware that UL91 can only be used in certain aircraft. The grade offers all the aviation industry benefits of Avgas 100LL but contains no lead additive or blue dye and is of lower octane quality, hence the need for specific engine or aircraft approval. It’s important to remember that wherever you fly in the world, aircraft and engine manufacturers alongside the International Air Transport Association (IATA) work diligently to ensure that all specifications are appropriate and fit for use to ensure smooth aviation operations. We would always recommend that before travelling internationally you determine what aviation fuels are available and confirm their suitability for your aircraft. While in an emergency some products may be permitted for limited operations, this usually results in an early overhaul and potentially added expense. As such, obtaining the correct grade(s) is critical and wherever possible our teams are committed to delivering safe, reliable fuelling services to meet the required specifications and demand across our global network. 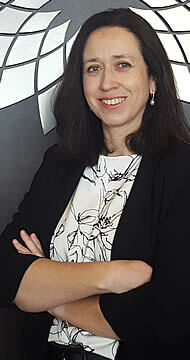 Irene Lores is Air BP’s global marketing director for general aviation based in Madrid, Spain. She has over 17 years of experience in the fuel industry, working at BP since 2000 and Air BP since 2012. Her previous positions include general manager, Air BP West Mediterranean and supply manager, BP Gas España. Prior to joining BP, Irene worked for several years in the financial markets with international positions in Societé General Group and Natwest Bank. Since taking up her role as global marketing director for general aviation last year, she has among other things coordinated the launch of the successful RocketRoute MarketPlace app, Air BP’s collaboration with Red Bull Air Race and announced a strategic partnership with Victor, one of the world’s leading on demand jet charter marketplaces. Irene is a Spanish national. she holds a degree in Economics and Business Management from Madrid Autonoma University. She is passionate about aviation as well as her family and is a leading member of the BP Women International Network in Spain.